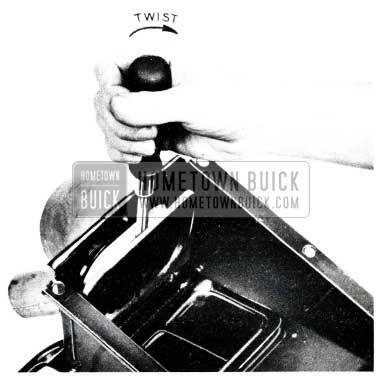 Should any complaints of insufficient defroster air be encountered on 1955 models, it is suggested to first check the defroster hose connections at the defroster manifold to make sure they are installed properly. If it is found that the hoses are too loose and do not stay on the manifold, they should be cemented on. 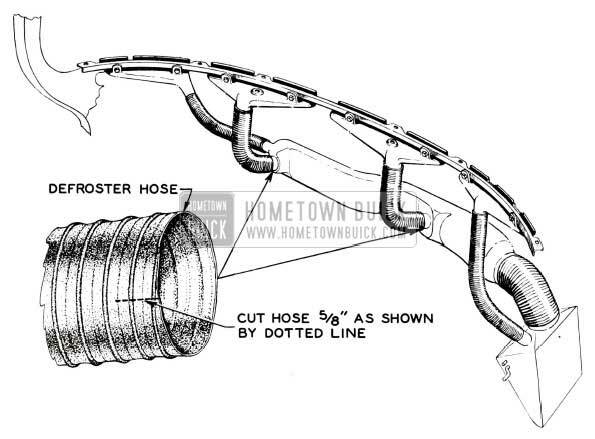 If, however, the diameter of the hose is too small and cannot be installed easily, the hoses may be cut as indicated in sketch, Figure 70 and cemented on the manifold. Reports have been received that the heater and cooler hoses have been damaged by coming in contact with the exhaust manifold. A new hose clip, Group 8.847 Part No. 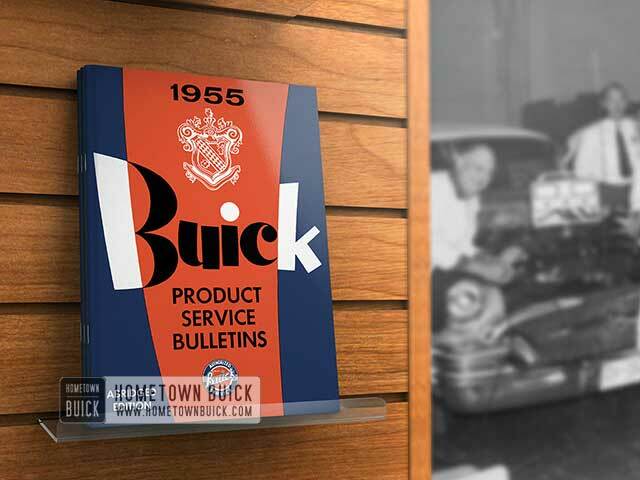 1168772 is being released for service and will be available in all warehouses approximately December 15, 1954. 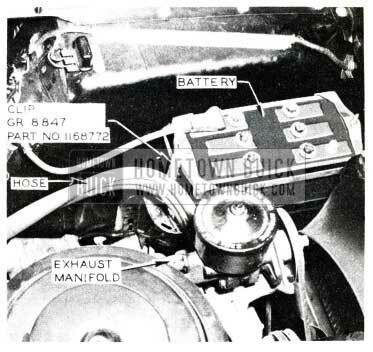 The new clip is to be attached to the rear battery hold-down bolt and the hoses positioned in clip as shown in Figure 71. The new hose clip should be installed on all jobs not so equipped, to prevent heater hose damage. A few cases of defroster valve flutter have been reported. This is noticeable when the defroster or auxiliary heater valve is first closed with the blower still in operation or at high speed when both the defroster and auxiliary heater valves are in the closed position.